The multi-union Facilities Bargaining Association (FBA) and health employers in British Columbia have reached a tentative agreement. The two-year deal, which comes after nine months of negotiations, covers 46,000 health-care workers who work in publicly funded hospitals, emergency health services and long-term care facilities. The deal includes the temporary elimination of layoffs as a result of contracting out services and continued benefits and wage increases totaling three per cent. Bonnie Pearson, secretary-business manager for the Hospital Employees’ Union (HEU) and a spokeswoman for the FBA, says the agreement meets the needs of the workers. 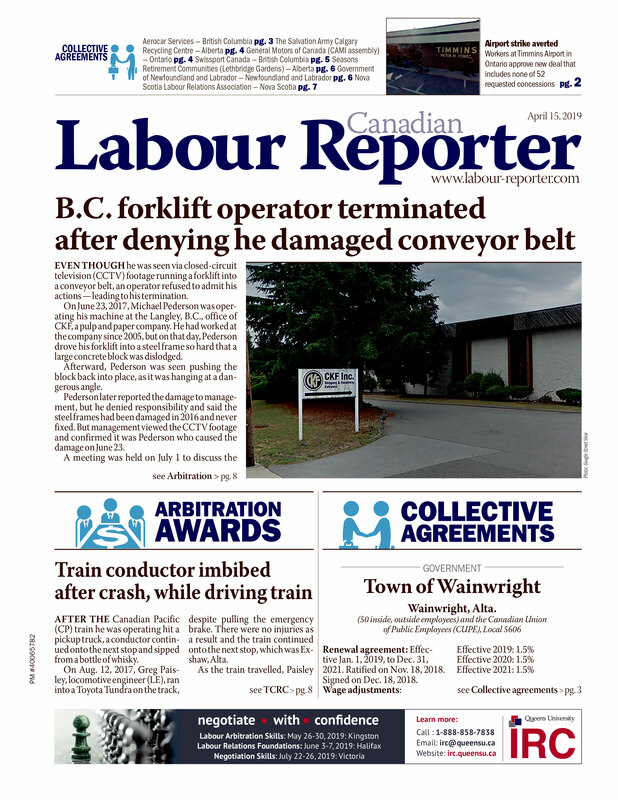 “The FBA unions have worked hard to ensure that this tentative settlement honours our members’ priorities in a large and diverse bargaining unit, and that it meets their needs,” she said in a press release. Ratification will take place in the coming weeks. The unions represented under the FBA include the HEU, the British Columbia Government and Service Employees’ Union, the B.C. Nurses’ Union, Canadian Union of Public Employees Union Local 873, the International Union of Operating Engineers Local 882/882H and six other unions.